Welcome to the New Milton and Christchurch Group page. 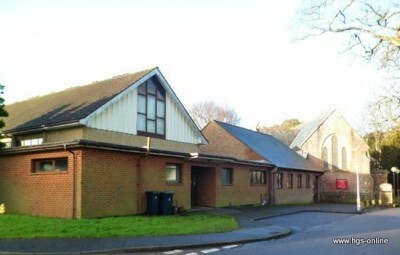 Our friendly group meets on the second Friday of each month at 7:30pm, in the Library at St Marks Church Hall, Hinton Wood Avenue, Highcliffe, Dorset. New Milton is a market town on the edge of the New Forest. Christchurch, although now in Dorset, was once an historically important town in Hampshire. Our members come from the surrounding area and we are always pleased to welcome visitors and new members. Joining your local group provides an opportunity for you to meet people with the same enthusiasm for family history, and to share skills and expertise. It’s also an opportunity to help others break down ‘brick walls’ in their research and get some help with your own. The talks, workshops, and social events also provide a great opportunity to extend knowledge and have fun! The Group meetings are either a talk from a speaker on a family history related subject, or a Members’ Evening, usually arranged around members interests or a topic request. The meeting is followed by tea/coffee and biscuits, which gives everyone the opportunity to meet and chat with the speaker and each other. That extra dimension to your family history. September 13, 2019, 7:30 pm: To Russia without 007 - Audrey Vincent. And no doubt a lot safer! Another aspect of that great conflict. Will Barry have us all in tears? Whatever will Daphne challenge us with this time? The group organiser is John Heighes. He can be contacted using the form on this page. Hinton Wood Avenue is the turning opposite ‘The Galleon’ public house on Lymington Road, and the church is a short distance down on the left. Parking is on Hinton Wood Avenue or behind the church. The Library is the room between the large hall and the church. If you would like to know more about the New Milton & Christchurch Group and its forthcoming events, then please contact the group organiser using this form.